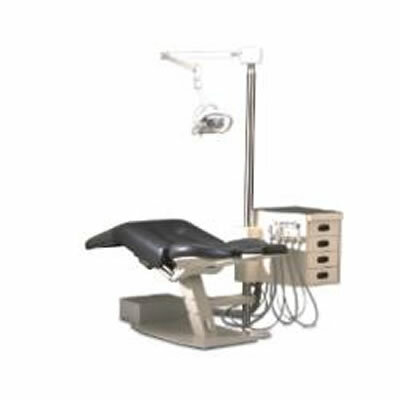 The inherent darkness of the oral cavity makes crisp, concise dental operatory lighting essential for effective diagnosis and treatment. 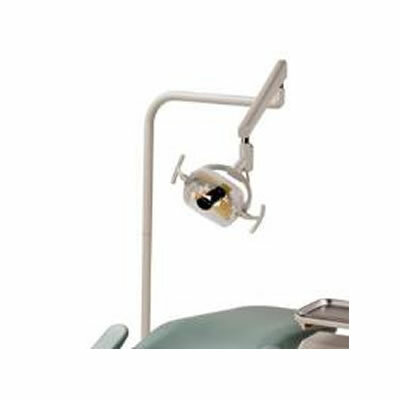 Powered by halogen or light emitting diode (LED) technology, today’s halogen or LED dental lights provide the intensity and color range required for dental procedures, with numerous mounting and swing arm options, including third-axis movement, that facilitate positioning. 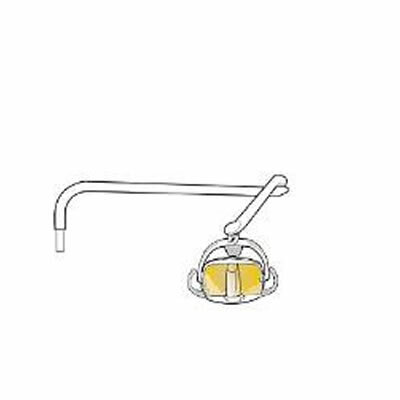 LEDs operate with a block of electricity-conducting material and generate light more broadly, with each wavelength able to be focused on a particular point. 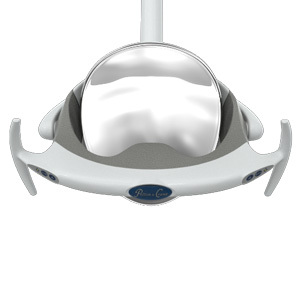 They can be balanced to a color temperature similar to daylight, reducing eye strain and facilitating shade matching, but may not include the entire spectrum of visible light. 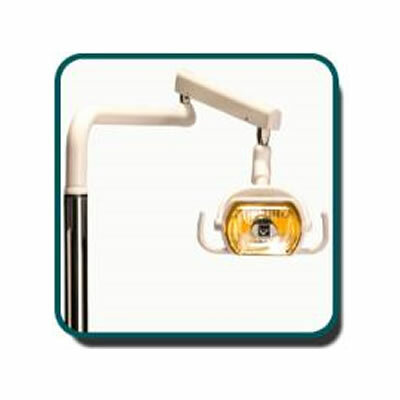 Advances in LED technology include operatory lights with adjustable intensity levels that flood the oral cavity with a neutral white light for true-to-life tones and reduced eye strain, mobile/portable lights for remote field environments, and cure safe settings, which remove all blue light and allow the light to remain on during bonding. 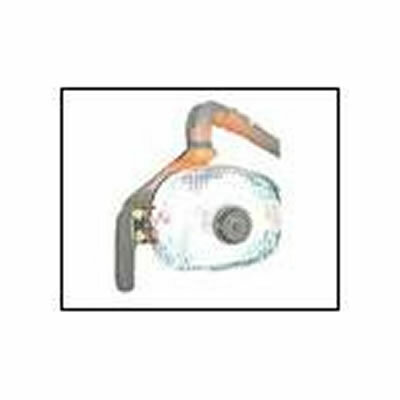 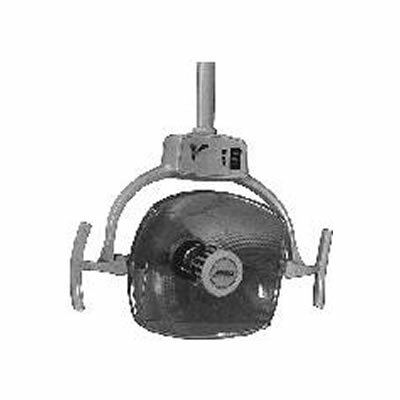 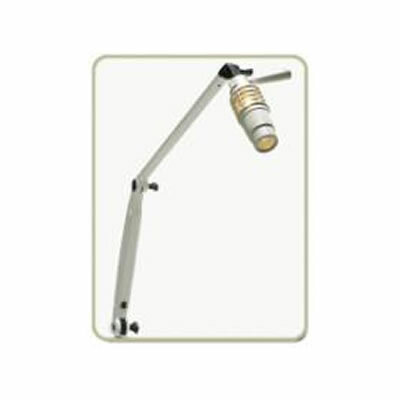 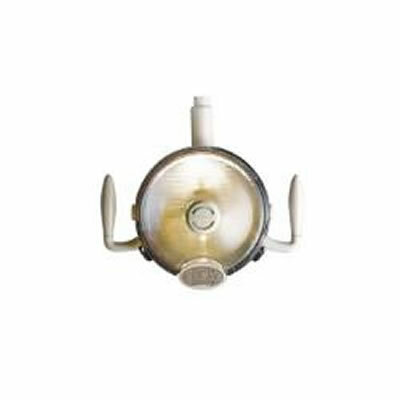 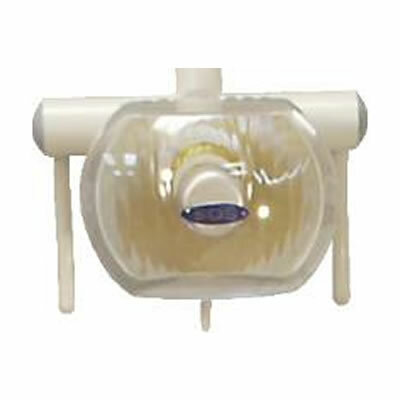 Cabinet or wall-mounted dental operating light.